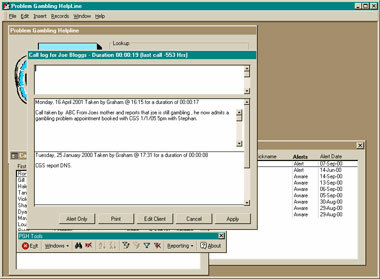 Designed a networked call logging online survey database to record survey data in a random but quickly accessible manner. Ability mark clients as aware providing immediate reference along with a complete index and searching facility. 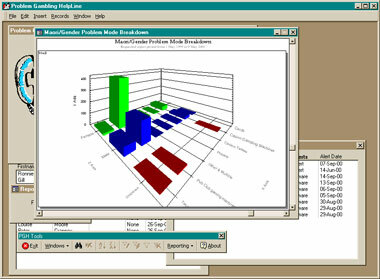 Extensive reporting along with comprehensive statistical graphing make this a complete self contained application.